Sign up for Broadjam today to follow Mark Croft, and be notified when they upload new stuff or update their news! Mark's latest release. 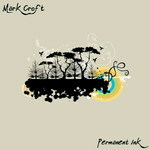 With 5 brand new tunes featuring the title track "Permanent Ink"
Mark's debut album now available for order online! 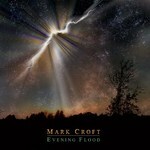 Evening Flood is the fourth and latest CD by Madison, WI native Mark Croft. Always unafraid to break the genre barriers, Croft takes inspiration from a variety of musical styles and blends them into his own Pop/Roots approach to songwriting. The CD features the rousing funk-infused single "The Gas Is On" written in the wake of the gulf oil spill and reflects on its global impact and aftermath. In a repertoire overflowing with memorable pop singles, Local Sounds Magazine called the title track ("Evening Flood") "the best-written, most succinct pop song he's done yet." 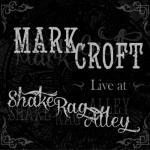 Croft incorporates genres like southern funk ("If She's Gonna Shake It"), swampy blues ("One Mississippi"), gospel ("Amen and Hallelujah"), and gypsy swing ("The Crow and the Raven"), in the process, he demonstrates his continued maturity as a songwriter and storyteller. The album also features Mark's version of one of his favorite Peter Gabriel songs "Washing of the Water". Croft gives a profoundly intimate and emotional performance for which he received praise from Gabriel himself. recorded at Masters Recording Studio (formerly Flyte Tyme Studios) in Edina, MN, Evening Flood was produced by Anthony JW Benson and mixed by Grammy Award™ winning engineer Tom Tucker (Prince, Sting, Lucinda Williams, Bonnie Raitt) and mastered by Airshow Mastering wiz Dominick Maita (Herbie Hancock, Glee Soundtracks, Curtis Stigers, Til Tuesday, Billy Joel). The album features a bevy of talented musicians and vocalists including drummer Noah Levy (BoDeans, Five for Fighting, Peter Frampton, Brian Setzer). Whatever happened to the promise you once made to save me? And I'm holding you but I keep on looking up. And they said "we don't have to bother, we're the chosen ones"
Hey, don't let me say "Amen"
Babe, don't let me sing "Hallelujah"
Until you're here for good. And then you turn and you disappear for days and days. So babe, don't let me say "Amen"
Babe, you won't let me say "Amen"
Babe, don't let me say "Amen"
She don't leave much to the imagination dancing that way"
Tell me boy are you gonna be alright? And all I need is a little down payment"
But I said "coming from a man in my position"
Of a lying 'n' cheating snake oil salesman"
He said "I'm just here to help you son"
That you're gonna take the money and run"
And across the Louisiana state line." So it's time for you to say good-bye"
The Crow said "Mr. Raven, it's obvious to me"
that there's trouble for as far as I can see"
And it's bringing them down to their knees." that a dance can rid the world of this disease?" And we'll shake the evil from this world. The music's hot and I forgot the trouble they were in." And I can't believe how long we've stayed away." And is there is anyplace left for a man who's a stranger at home? What's left for me here? Is there anyplace left for a man who's a stranger at home? Mark Croft's version of Peter Gabriel's "Washing of the Water"